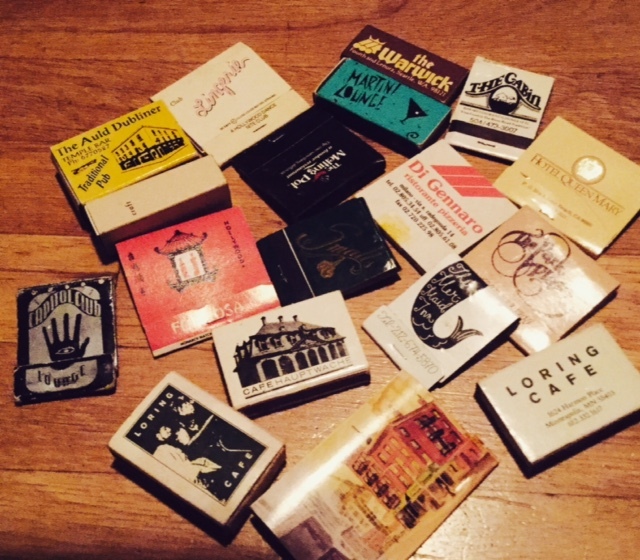 Digging through a box in a sudden cleansing urge, I came across a couple collections of matches. These collections stored in various containers, including a cool old tin that belonged to my dad, spanned my teenage, college and post college years, as well as several travel destinations, clubs, bars and cities I lived in. From these collections I was inspired to write a short story, Remembering Matches, and enter it in @writersdigest contest. Feeling good.